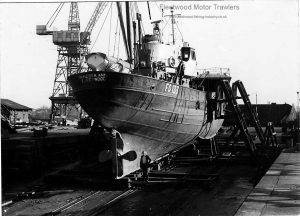 11.1951: Completed by Richards Ironworks Ltd, Lowestoft (Yd.No. 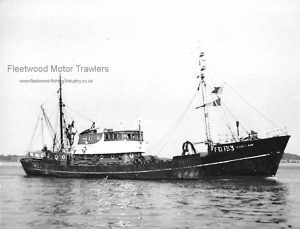 403) for Rhondda Fishing Co Ltd, Grimsby (Sir John D. Marsden, Bart, manager) as VANESSA ANN. Registered at Lowestoft (LT254). 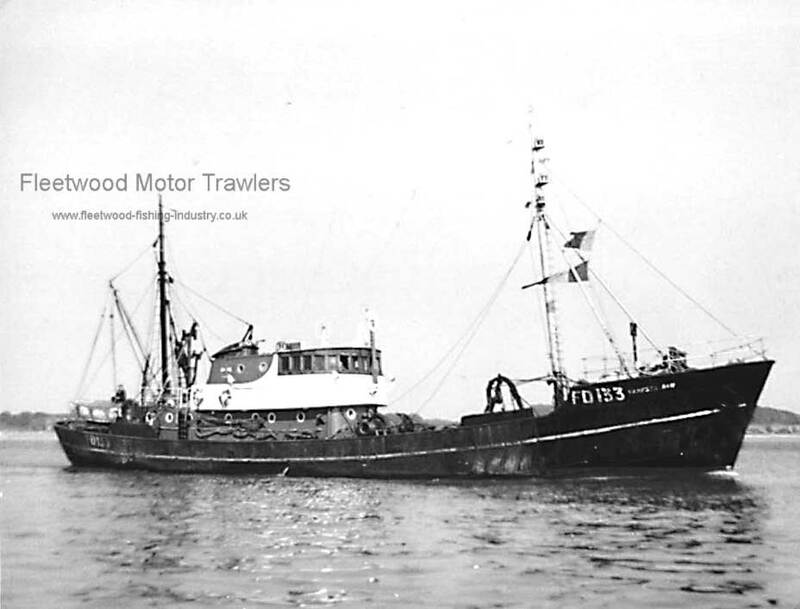 1.5.1955: Out of Grimsby on a North Sea trip started to take in water. Fault traced to bilge pump line, repaired and resumed fishing. 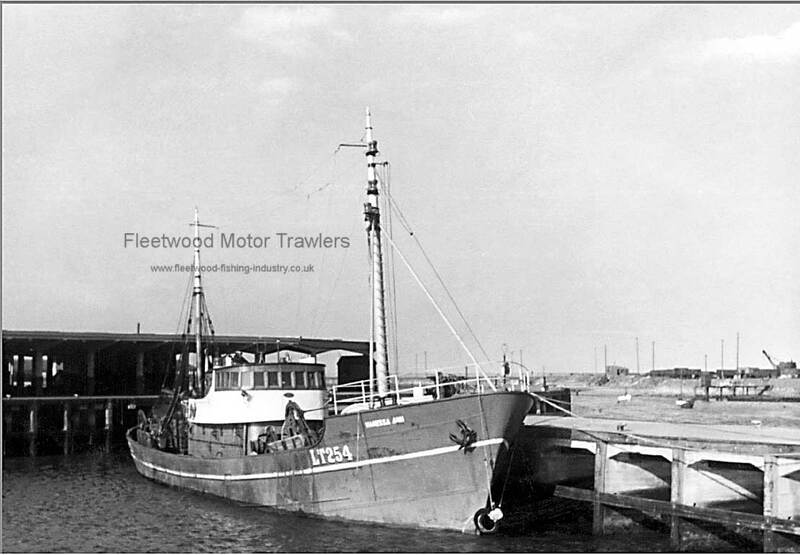 1957: Sold to Dalby Steam Fishing Co Ltd, Fleetwood (Bowden Ramster, manager). Lowestoft registry closed. Registered at Fleetwood (FD133). Later to F. E. Catchpole, Lowestoft and on to offshore platform standby/rescue. 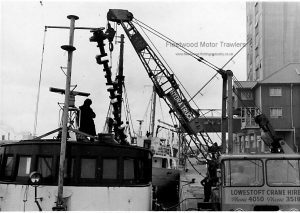 1973: Laid up at Lowestoft with main and big end bearings run due to gasket failure of oil pump. 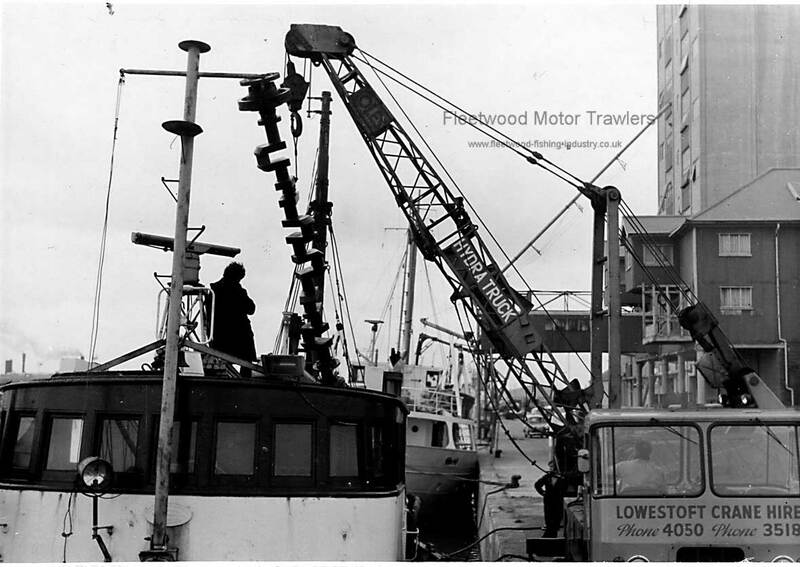 1973: Sold to Alan Warren Smallwood, Fulham for conversion to a floating workshop (for South Pacific service). Later laid up River Thames. 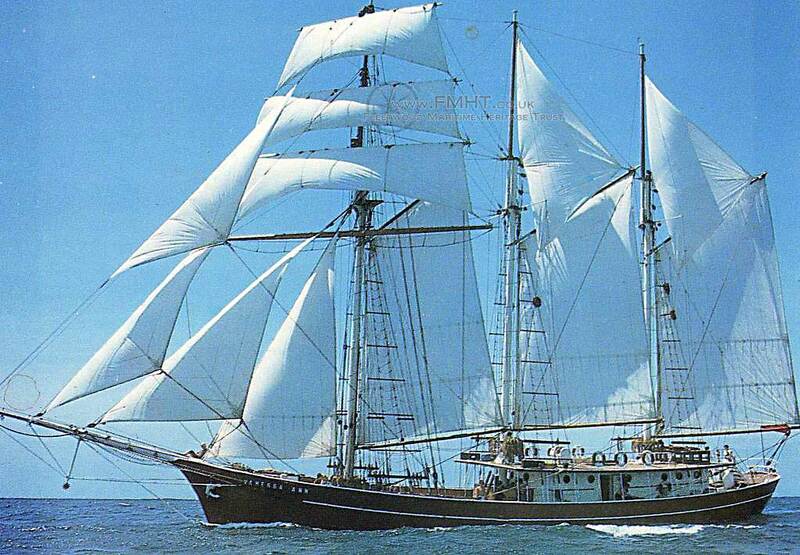 1984: Sold (due to ill health) to Reg Marsh & Jack Scott for conversion to an auxiliary topsail schooner. 1984-85: Re built at Padstow. Sail area 538 sq.metres. 6.1985: Sailed Padstow for Antigua with the intention of running day charters. Not a success due to local opposition. 1986: Sold to Charles W. Clowes & David Cox, based Barbados. Again not successful. 1990: Decided to return to UK. Prepared for voyage in St. Thomas, Virgin Islands. Sailed for Plymouth. 3.7.1990: Arrived Plymouth. Surveyed and in poor condition. 1991: Sold to Joseph Maria Kelly for private use. 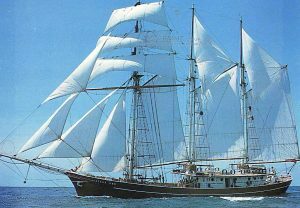 On the death of his mother the vessel’s name was changed to SANTA BARBARA ANNA, in commemoration. Engaged in charter work. 1995: Arrived Rostock. Ceded by the Kelly Family for use of teenagers and adolescents funded by City of Rostock. 2000: Funding withdrawn due to financial constraints support of charities and volunteers obtained. 2006: During maintenance a 4000kg oak keel fitted to improve sailing capability. 7.2006: Sail area increased to 667 sq.metres. At some stage she had an explosion in her engine room. This happened as she was sailing from Grimsby two engineers where killed. 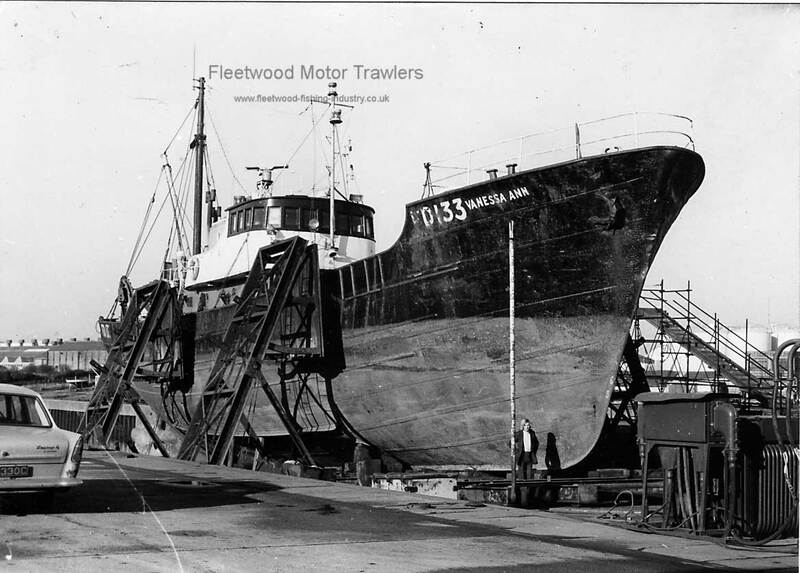 After that she was bought by the Dalby Steam Fishing Company and brought to Fleetwood, she was a near water boat and fished the Irish sea and up and down the West Coast of Scotland. Among previous skippers were George Wood, Chopper Harrison, myself and a few others. she was a great sea ship . I was in command in the storm of 1969 winds gusting to 140 mph, we rode it out for sixteen hours just SW of Barra Head and a German cargo ship the Lusadanur shifted its cargo and Barra lifeboat went to its rescue and capsized, they both made it back to Castle Bay. 23/09/2016: Page re-published due to site problems. This entry was posted in Dalby SFC, Motor Trawler on 23rd September 2016 by Howard Small.